DALLAS (April 9, 2019) — United Way of Metropolitan Dallas annual campaign chairs Rich and Mary Templeton will join volunteers from Texas Instruments, Mr. Cooper and TXU Energy to engage local students in STEM (Science, Technology, Engineering and Math) education. The Templetons will join 180 corporate volunteers to lead nearly 400 students in STEM-related interactive projects at Richardson’s Lloyd V. Berkner High School on Tuesday, April 9. Presented by Mr. Cooper and Texas Instruments, United Way’s STEM in the Schoolyard event is designed to inspire student imaginations and spark early interest in STEM careers. STEM fields are projected to drive the U.S. economy and grow by 18 percent, doubling the projected growth of other fields. Median earnings for workers in science and engineering fields are more than double those for all U.S. workers. Yet statistics show local youth are not performing at high enough levels on key educational indicators to be ready to seize higher-paying positions. United Way of Metropolitan Dallas’ community scorecards show just 40 percent of eighth-graders in Dallas County met state standards in science, while just 44 percent of students met state standards in Algebra 1, a key predictor of high school graduation and college readiness. With help from the Perot Museum of Nature and Science and CircuitScribe, STEM in the Schoolyardvolunteers will lead sixth-graders in hands-on learning experiences with real-world technology, including facial recognition software and coding robots. Students will draw functioning electrical circuits on paper, design wind turbines and learn lessons in financial literacy and mathematics. The STEM in the Schoolyardevent is part of the United Way Volunteer Series presented by Mr. Cooper and Texas Instruments, leveraging collective volunteer power to address community challenges in education, financial stability and health. Corporate partners engage in relevant, rewarding and innovative volunteer opportunities to get real results. 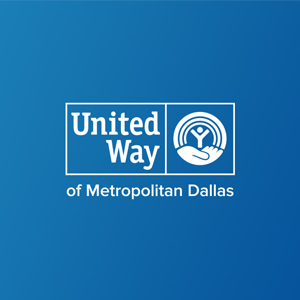 About United Way of Metropolitan Dallas: United Way of Metropolitan Dallasis a community-based nonprofit organization that believes in the power of unity to create lasting change. For over 90 years, we’ve brought people and resources together to strengthen education, income and health—the building blocks of opportunity. Together, we work to achieve long-term results that help our community thrive. We encourage every North Texan to be part of the change. To give, volunteer, advocate or learn more, visit www.UnitedWayDallas.org. About Mr. Cooper: Mr. Cooperis the consumer brand for the mortgage servicing and originations operation of Mr. Cooper Group Inc. (NASDAQ: COOP). Based in Dallas, Texas, Mr. Cooper is one of the largest home loan servicers in the country focused on delivering a variety of servicing and lending products, services and technologies to make the home loan process more rewarding and less worrisome. Please visit www.mrcooper.comfor the latest news and information. About Texas Instruments: Texas Instruments Incorporated(TI) is a global semiconductor design and manufacturing company, headquartered in Dallas, Texas, that develops analog ICs and embedded processors. By employing the world’s brightest minds, TI creates innovations that shape the future of technology. TI is helping more than 100,000 customers transform the future, today. Learn more at www.ti.com.